For a complete Outings Calendar or to sign up to lead an outing see Outings Spreadsheet. To see outings that have already happened, see our list of Events & Trips. Troop 57 March News (2019) NEW! Online Merit Badge Library Added! Saturday, March 23 On Saturday, March 23rd, we will hike Mt. Diablo, near Santa Rosa. This hike to the top of the mountain will be 9 miles and will take us about 4 hours to complete. Plan on being back at the scout house before 5 pm. Meet at the Scout House on Saturday morning, so that we can leave towards 8 am. This hike is great for first year scouts as it’s a good opportunity to finish both navigation requirements for second class. Make sure to bring your 10 essentials, a bag lunch and snacks. Please sign up for the outing by March 22nd via the sign up sheet. COST: ​$40 includes transportation, climbing gear, instruction and dinner PREREQ:​ Completely filled-out waiver signed by parents accompanied with a photocopy of the signing parent’s driver’s license LEADER: Sandeep Mirchandani and Chitra Sharma SCOUT LEAD​: Luke Andersen REGISTRATION:​ Deadline March 9, 2019. Space is limited to 12 participants. be cold and windy. Please sign up for the outing by January 22nd via the sign up sheet. Girls and Boys interested in Scouting BSA? Do you love outdoor activities, leadership opportunities, and service projects? Want to make new friends and learn new skills? Find out more about Scouts BSA! We are one of the older troops in California and the Nation with over 110 registered scouts, a new Girls Troop and more than 30 uniformed adult leaders and we would love to meet you! Please come to our open house! This outing will be a great opportunity to visit one of the bay's most scenic parks and will count as a 10 miler towards the hiking merit badge. The hike will provide great views of the ocean and will not be very strenuous. We will also be doing some orienteering with maps and compasses. December 1st Service Project at Bol Park! Activity: A scenic 10-mile hike through Mt. Tamalpais State Park in the northern San Francisco Bay Region. Angel Island is one of the most fascinating places in the San Francisco Bay. The hike includes up close views of the battlements and armaments that protected San Francisco from invasion from the Spanish-American War through the Cold War. It also includes seeing the west coast’s Ellis Island, where one million immigrants first entered the United States between 1910 and 1940, as well as excellent views of the San Francisco skyline. This hike is also a great opportunity for any scouts trying to fulfill their 10 mile hike requirement for the hiking merit badge. Kayak in scenic Monterey Bay - see the kelp forest and perhaps otters and seals! Requirements: BSA Swimmer. Current BSA Med forms (A,B,C). Kayak rental waiver. Places available: 8 scouts (10 participants total). Register early to assure a space. Equipment: Wear swim suit and water-appropriate shoes – you will get wet. Kayak rental will include wetsuits, splash jackets, paddles, and kayaks. On September 22-23 we will have our All Troop Outing at Sam McDonald Park. First, Scouts will go on their desired hikes and enjoy the scenery of the outdoors. 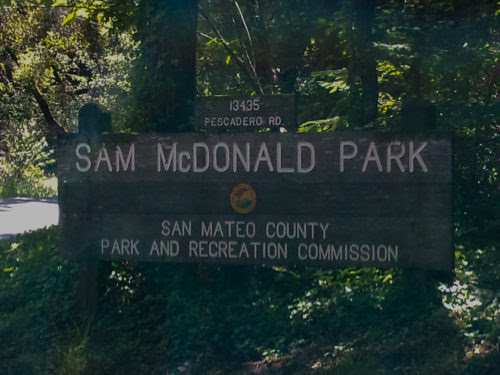 Then, at Sam McDonald Park, we will backpack in ¾-mile to our campsites to set camp and prepare dinner. After dinner and clean up, we will enjoy an outstanding campfire program at Choctaw campsite. These usually end up being lots of fun, so make sure that your patrol works together for a fun and interesting skit or song. After the campfire, patrols return to their campsites and retire for the night. On Sunday morning we will make breakfast, clean up, pack up, backpack out, and drive back to Palo Alto. This is a mandatory outing and everyone should attend! Rock cod fishing along San Mateo Coast. We’ve chartered the whole boat (the Huli-Cat), but space is limited, so SIGN UP EARLY. Time: departing from the Scout House at 5:00 AM, returning around 4 – 6 PM. Cost: the price will be $130, all included. Activity: The Mt. Lassen Hiking Campout is a fantastic opportunity to explore a unique area of California and observe the most active volcano in the state. Visit a 1,300-foot-long lava tube that carried lava from the famous May 1915 eruption, hike the Lassen Peak trail to the summit of Mt. Lassen, and view boiling lakes, bubbling mud pots, and roaring fumaroles (gas vents) that are indicators of the ongoing volcanic activity just below the serene forest. We will be camping at the Lost Creek Campground within Lassen Peak Volcanic National Park. This is an exceptional one-of-a-kind trip for scouting! Don’t Hesitate - Sign up now! Saturday, May 26 is our annual Memorial Day grave decoration service project at Golden Gate National Cemetery in San Bruno (1300 Sneath). This is a mandatory event, but Scouts should want to attend as a small token of appreciation to these great heroes. We will be meeting at the Scout house at 7:15 a.m. (Come early to get doughnuts!) for a 7:30 departure. We should be back by noon and Scouts will be dropped off at home. Transportation will be organized by patrol. “Class A” Uniforms are required. Bring your fleece and a warm jacket, as it can be chilly. As Background: Memorial Day or Decoration Day is a federal holiday in the United States for remembering the people who died while serving in the country's armed forces. Memorial Day is not to be confused with Veterans Day – Memorial Day is a day of remembering the men and women who died while serving; whereas, Veterans Day celebrates the service of all U.S. military veterans. Troop 57 will join Scouts from around the Bay Area to pay tribute to the men and women who served our country by placing an American Flag at every grave at Golden Gate National Cemetery. This is an annual service project that our troop has participated in for many years. This is our very small, humble way of acknowledging the sacrifices made by so many to preserve our freedom and our way of life, on which rest so much that we take for granted every day. One of the 6 Rim of the Bay! Counts towards the Hiking Merit Badge and gets you a Rim of the Bay Patch! What: A Rim of the Bay hike on a spectacular mountain in Napa Valley. Where: Meet at Lucie Stern Community Center and drive up to Napa Valley for the hike. The hike will be about 5 hours, and we will have 2 hours driving each way. The Hike: We climb about two thousand feet in five miles. In the first mile, we’ll stop by Robert Louis Stevenson’s cabin, and then will climb to the summit. Views are spectacular both from the summit and along the trail to get there. A wonderful way to spend a Saturday morning in spring! On March 3, we finished building bluebird and chickadee houses for the National Audubon Society. Due to the large amount of participation and productivity,​​ we finished earlier than planned. Many of the scouts were still hungry for more service hours so we decided to clean and organize the scout shed, fire circle, and stage. The fire circle and state are ready for tomorrow’s CoH. Ryan Lee, Jimmy Miller, Jerry Fang, Zachary Thom, Jerry Fang, Brandon Cui, Aiden Seto, and Ashray Gupta participated today. Thanks for your cooperation and fun time (in the rain)! Thank you to Mrs. Hanna for serving as the Adult Lead with Mr. Bernas and pitching in to help. North of here, dead in the middle of the Central Valley, lies the smallest mountain range in the world, formed from a now dormant volcano. It is beautiful and unlikely and exotic. And it's privately owned, but we're privileged - for the time being - to have an invitation by its owner to hike and camp there. We can roam around it as we please, and then on Sunday, the owner will join us for a day-hike to give us a rich guided tour based on his family's three generation-long understanding of their land's geology, history, agriculture and ecology. This is a fantastic and memorable trip, limited to 20 scouts and adults. Backpack out (a mile) to the cars and return to Palo Alto arriving home by Dinnertime. On Saturday, March 17 , we will be driving up early morning to the Clair Tappaan Lodge. That is where we will be staying while we spend two days (Saturday and half/full day Sunday) skiing at Squaw Valley . This trip is a great opportunity to earn the Snow Sports merit badge and to hone skiing and snowboarding skills. I highly recommend attending this trip as it is a fun trip that can be enjoyed with friends, and skiers of all levels are welcome. - Currently, reservations are limited to 9 scouts total assuming 3 adult volunteers. rest of the meals on the road or at ski resort and will need some money for that. bathrooms. A pillow is provided. Guests should bring their own sleeping bag and a towel. - If needed, Skis/Snowboard can be rented on site or at Ski Renter in Mountain View. With limited spots, it is recommended to sign up as soon as possible. Sign up for this! On January 27-28 we have our All Troop Outing at Pinnacles National Park. The basic plan is for patrols to gather on Saturday morning at the Scout House (7:30AM), organize yourselves into vehicles, drive to your hike trailhead, complete your hike, cover first year skills as needed, and then drive to our Pinnacles campsites (124, 125, 126, 127, 128, 131). At Pinnacles, drivers can park adjacent to our campsites (Senior Patrol 7 will be in 127 and 128) to set camp and prepare dinner. After dinner and clean up we enjoy an outstanding campfire program (thanks to the efforts and creativity of your scouts) between 127 and 128 campsites. These usually end up being lots of fun, so make sure that your patrol works together for a fun and interesting skit and/or song After the campfire, patrols return to their campsites (please bring flashlights because it will be dark) and retire for the night. On Sunday morning we will make breakfast, clean up, pack up, and drive back to Palo Alto. If you want to extend your visit on Sunday and do more stuff (it’s a great area), discuss it with your Lead ASM/Patrol Leader. 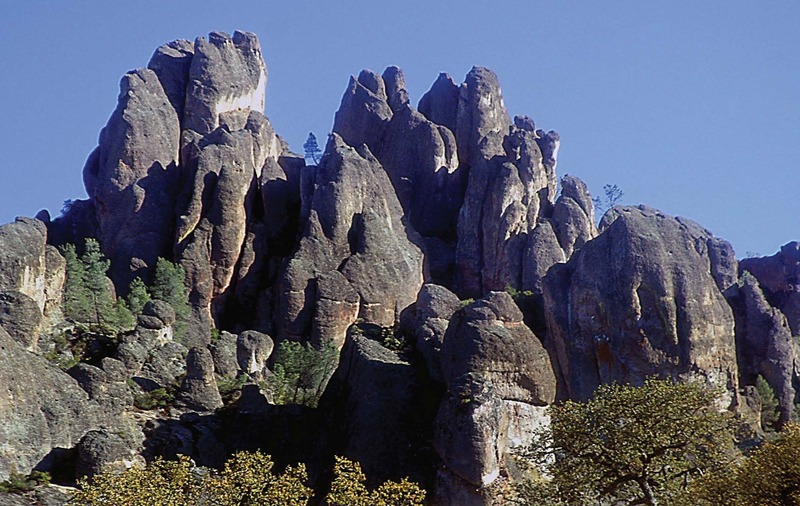 Pinnacles National Park hikes should make this a great outing. All scouts should participate. Put another Rim of the Bay hike under your belt with the Mt. Diablo hike! On Saturday, January 20th, we will hike up Mt. Diablo, near Walnut Creek. We will hike to the summit of Mt. Diablo, where on a clear day, you can see all the Sierras and the Farallon Islands. Meet at the Scout House on Saturday morning, January 20th, at 7am. You should have good hiking boots. Keep in mind that this hike is 10 miles with the summit at around 3848ft, meaning a lot of upward climbing. Bring a bag lunch and snacks (trail food, etc.). 3 liters of water, 10 essentials, layers are a must. Hiking poles would also be useful. Scouting For Food 2017 Results! This year, the Stanford district donated 28,618 pounds (14.3 tons!) of food to the Second Harvest Food Bank! This provides about 20,411 meals to those in need. Troop 57 was a huge part of this, at just over 15% of donations in Stanford district, at 4695 pounds. Good job scouts! Thank you all for coming out this year! It's Wreath Fundraiser time and all families gathered to tie the beautiful ribbon bows that will adorn or Douglas Fir wreaths. Thank you all for coming out to help. Kayak over the San Andreas fault on Tomales Bay, passing from the North American to the Pacific Plate. Overnight at a boat-in only campsite in Point Reyes National Seashore’s Tule Elk Range. Practice Leave No Trace camping. Next day, paddle back to cars and return home. Who is excited for our annual all troop outing!? We will camp and hike among old growth redwoods in this tranquil, wilderness area 40 minutes from the Scout House. There will be hiking, games, a troop campfire and special activities for our first year scouts. Time: Meet at the Scout House late morning around 10:30am, Saturday, Sept. 9 for zip lining (www.sonomacanopytours.com.) and canoeing. If you are canoeing only, we might be able to arrange a later departure on Saturday, if there are sports/other conflicts. We’ll be back in early evening on Sunday. Some cars may stop for dinner. Scout canoe waiver and zip line waiver by September 1, 2017.